If you have ever worked on a team or played on a team you have likely experienced what I like to call a poisonous teammate. You know the one I am talking about. Poisonous people destroy their teams. Often they start out with a few under-their-breath comments, but soon after that they get bolder and begin really impacting team results. 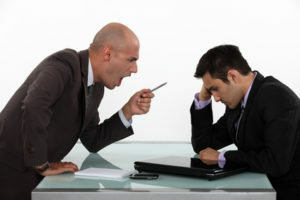 People don’t often know what to do, or are afraid to confront them, especially if the poisonous person is one of the best performers on the team. If you have a strong-enough team culture you can let the veterans on your team deal with this person, letting the poisonous team member know that their behaviour can’t be tolerated. Strong leadership does not have to come from the top, from the coach or the boss; it can come from people on the team, and sometimes it’s more effective if it does. Leaders needs to step in and set this person straight or cut them loose. Sounds harsh, but too often people just try to stick it out at the expense of the team goal. Before you know it, it has been going on for over six months and things keep getting worse. A leader might keep hoping if they just let it go one more time, or if the poisonous member seems happier and cooperative one day, that a turn-around will happen on its own. But it won’t. Someone needs to set them straight the first time they roll their eyes. Make sure the team culture includes education on how to spot these kinds of people so that team members can identify the bad behaviour and stop it early. You need to create a culture where that behaviour is not tolerated, a culture in which the expectation is that anyone—rookie or veteran—can set that person straight, or at the very least let the leadership know what is going on. Since sport is the ultimate training ground for success in life, get used to identifying these poisonous people quickly. Deal with them as soon as you can—it will help you and your teammates accomplish both the team and individual goals. If there is one thing I know for sure, it is that there are poisonous people in every walk of life. You need to lean into the uncomfortable situation on your sport team now—so that when you find this kind of person in the working world you will know how to deal with them. Use sport to learn how to master dealing with them…and make sure that no one interferes with your ability to create your own success. If you have a poisonous teammate on your team, show them our video and get them to stop yelling. 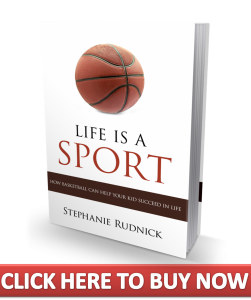 Buy and read Life is a Sport for 101 stories and the life lessons learned on court so you can create the success you want in life. For more tips and support follow us on Facebook, Twitter and Instagram. If you’d like your sports story to be considered for a future book or for use on our blog, submit it here. We’ll pick and publish our favourites! Stephanie Rudnick has inspired and empowered hundreds of people to take control of their own success. Stephanie uses easy-to-understand principles—simple, relevant, practical solutions for dealing with mediocrity at work, at home and on the athletic field—without quick fix schemes. Enter your email below and get our Life is a Sport work book, filled with work sheets to help your athlete work through the good, bad, ugly and amazing of sport! Get life lessons learned through sport delivered directly to your inbox. Need help navigating the emotional rollercoaster of sport? 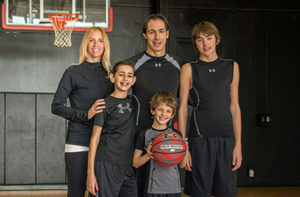 I am here to support your journey whether you are an athlete, parent or coach. Submit your email to get a workbook filled with tools to help you get through the good, bad, ugly and amazing experiences of sport.